Chewbacca doesn’t have to worry about it. He trudged through the icy Hoth landscape without a coat, gloves, or a hat. That’s because he has that thick Wookiee fur. Yes, Chewie never has to think about cold weather, because Wookiees from Star Wars are well adapted to cold climates! Of course, your little Star Wars fan isn’t a Wookiee, no matter how much they’d like to be one! They’re a human being and they need some warm wear if they plan on heading out into the cold. 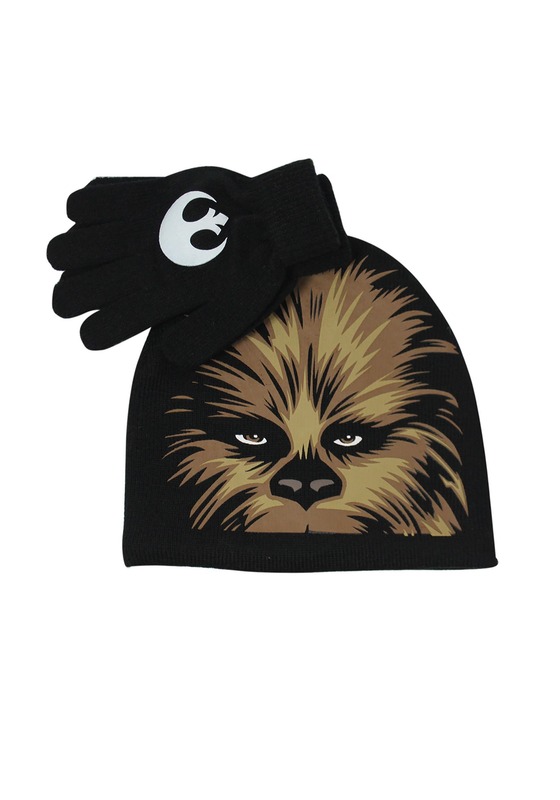 So, why not combat chilly weather with the help of their favorite Star Wars character, Chewbacca. This cozy hat and gloves set will help your child stay warm like a Wookiee! The hat has fleece lining with a knitted outer shell. The front of the hat has Chewie’s face printed on the front. The included gloves are made of a matching knit material and have the Rebel Alliance on the front of them. Just slip them on with their favorite coat and your child will be ready to do battle with the chilly forces of winter! Whether your child is on a trip to Hoth, or they just want to head outside to play in the winter, these Chewbacca themed winter accessories will have them prepared for anything!